When an assassin's bullets ended the life of John F. Kennedy in November 1963, America experienced a collective sense of loss it had not known since the death of Franklin Roosevelt in 1945. Unlike Roosevelt, the loss was not that of an indispensable leader in a time of great crisis, but an expression of unfulfilled promise, a young president cut down. Kennedy had charmed Americans with his grace and eloquence, inspired them with his "New Frontier," and challenged them to overcome all "burdens" and "hardships." An initial foreign policy fiasco, the Bay of Pigs invasion of Cuba, was later followed by success in forcing the Soviet Union to remove its missiles from Cuba. For many Americans the violent ending of Kennedy's life not only abruptly terminated a promising presidency but tested their confidence in America. 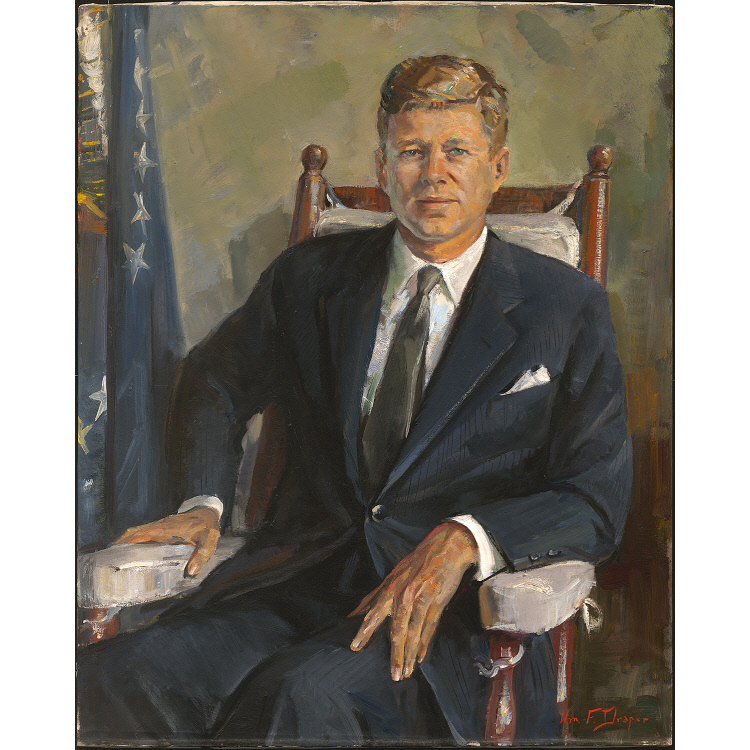 William Franklin Draper's depiction of Kennedy in a rocking chair was unintentionally ironic because, unknown at the time, the young and "vigorous" president was beset by serious health problems.